This release fixes a security hole in Vanilla that can leave your forum open to XSS attacks. There are also a couple of other minor fixes included with this release. We strongly recommend updating to this version of Vanilla. 2012-03-26 Partially fix #1330 by checking the format field on models. 2011-09-28 Fixed canonical url in /categories/*. 2012-03-16 Fixed canonical url bug when looking at a category. Great job! It solves the security vulnerability that was posted this morning. Thanks . i also downloded the latest version and installing my website's forum on it only. Just downloaded and installed this on a test system, and attempting to embed it in a WPress site. Issue, the screencasts at http://www.screenr.com/kqY do not match what I am seeing on the embed page on the dashboard. Also, after installing the WP site, the page that is supposed to be auto-created is not and the features I saw on the screencast does not match what I am looking at on the embed page on my WP dashboard. I tried to update from 2.0.8.1 to 2.0.8.4. Copied and overwrited the files, deleted ini files from cache. But when running http://forum.gtricks.com/utility/update, it shows blank page. No success no failure information. Will this fix the bug Below? @aery Try /utility/structure if you're having trouble. @Lincoln tried it. It always remains consistent. Even after clicking on button "Run Structure and Data Scripts" and after getting the structure successfully executed, I always get the same things on Rescaning. I also missed what is wrong with the SQL queries you showed. Do they work in phpMyAdmin? The support is disabled but it does have that installed. 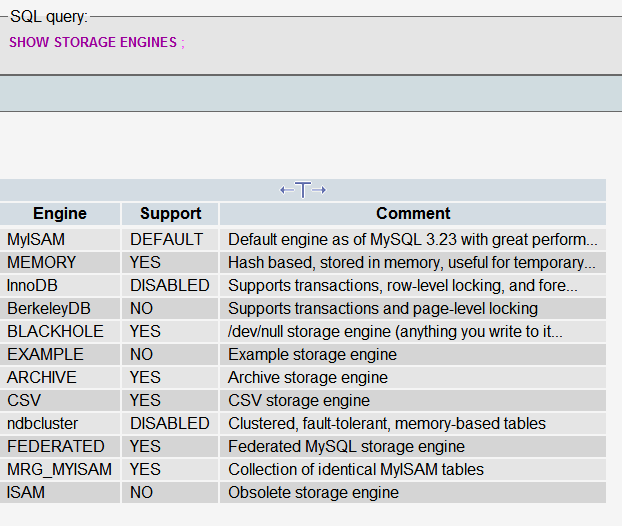 So my hosting provider does not support InnoDB but MyISAM. Let's see if your SQL queries work then.